This week we interview Olivier Deriviere, composer of the acclaimed game score for Alone in the Dark (2008). We also speak with Mark Snow about his new score for Alain Resnais, Les Herbes Folles (Crazy Weeds) and B-monster movie maven Terry Michael Huud about his latest compositional concoction, Plaguers, which was honored at the recent ScreamFest Los Angeles this month. Our reviews this week include Mark Isham’s The Express (“Isham lays out a gently persuasive and affecting composition”), Ramin Djawadi’s Fly Me To The Moon (“pleasant and serviceable, appropriately effervescent and heroic”), Christopher Wong’s The Rebel (“balances romantic music with energetic and percussive action cues that robustly support the film’s fight scenes”), Sharon Farber’s When Nietzsche Wept (“an intricately sensitive composition, rich in dramatic texture and musical sensitivity”), Paul Cantelon’s sublime score for Oliver Stone’s Bushpic, W (“a very nice score that evokes an intriguing intimacy and personality”), Marc Streitenfeld’s Body of Lies (“develops a series of intriguing action riffs, giving it a compelling pulse and develops it in patterns and layers”), John Morris’ score for Mel Brook’s classic Western satire, Blazing Saddles (“main theme is an inspired tune, given a number of likable permutations in the score”), Jeff Beal’s modernistic Western score for Appaloosa (“a score that hangs back and maintains a jaded perspective as it comments cynically on what it sees”), Christopher Lennertz’s score for Alvin and the Chipmunks (“invests the score with its heart, allowing the characters and the familial relationship to become real and heartfelt”), Armand Amar’s Terre Vue Du Ciel (“a transcendent composition that resonates far above the mostly wordless documentary with music that is reflective, thoughtful, soothing, even abstract”), and Stelvio Cipriani’s “vengeful cop” scores for La Polizia Sta A Guardare, et al (“defines the genre with a hard-hitting and fast-paced keyboard undercurrent over which a provocative rhythmic horn figures intones”). Olivier Deriviere is a French game and movie composer best known for his work on the Obscure and Alone in the Dark series of gamescores. The latter score, released on CD earlier this year by Milan Records, was a strikingly evocative composition, mixing sampled orchestra with the refreshing tonality of the world-famous, Grammy Award-winning choir, The Mystery of Bulgarian Voices. Their unique vocal quality (based on Bulgarian folk singing) gave the score an exceptional sound, fused with Deriviere’s ferocious orchestral music provided a score that was potent and well conceived. 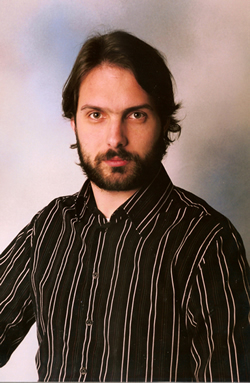 As a youth in France, Deriviere became fascinated by video games and their music. He studied composition and orchestration in Nice and later won a scholarship to study jazz and film scoring in the US to attend the Berklee College of Music. Back in France, Deriviere began to work on film productions, apprenticing with under composers such as Bruno Coulais and Laurent Petitgirard. After scoring a number of short films, he received attention for his score for the short movie The Toast whose sad love story and supporting score was shown at many film festivals. In 2004, Deriviere received the opportunity to score Hydravision's survival horror game Obscure, for which he combined choir samples from the Children Choir of the National Opera of Paris along with orchestra samples from the realistic Vienna Symphony Library to achieve a powerful dynamic. For 2007's sequel Obscure II, he worked with the Boston Quartet and produced a more textural score. Additional game scores followed. Deriviere's latest major work is 2008's Alone in the Dark, a new version of the original horror game classic which itself was made into a feature film in 2005. The composer crafted a five hour orchestral score that immersed listeners into the experience and complemented both action and atmospheric areas of the gameplay. I interviewed Oliviere recently about his approach to scoring games and his experiences in composing and executing these highly textured works. Q: What led you into film music and game scoring, and how did you become professionally involved in the industry? Olivier Deriviere: I’ve always been fascinated with music interaction for picture. Since I was a kid I wanted to compose music for movies and as computers were getting more advanced I started writing using software. At this time I didn’t use MIDI and I was composing with sound-trackers. What is funny is that the software was mostly used to make techno music for demo-making (to show computer and programmers skills) but I also used them to compose instrumental work. At one point I started to write for demos and I received some great insider reviews. Later, these same people started to make games, and because they knew my passion for video games we began to work together. Q: How did you decide on the instrumental pallet and musical direction for Alone In The Dark? What element does the score hinge upon as it supports the game? Olivier Deriviere: First you have to listen to the director’s intentions. David Nadal was very demanding for orchestral music so that was an easy guess, but because he was insistent about the mystery hidden behind Central Park I felt I had to come with a very unique idea. This is how I ended up using a Bulgarian choir, Le Mystere Des Voix Bulgares. Their texture combined with my themes supported not only the atmosphere and the action but also the narration and the emotion throughout the game. Q: As a “remake” of an earlier video game, were you familiar with the original game or was there any attempt to modify or upgrade the first game’s music/sound design for the new game score? Olivier Deriviere: David wanted to redefine the franchise, that’s also why they named it without the number 5. I then was free to get away from the previous games, which I loved. I especially enjoyed the first game however, and I used a very particular sound from the game which is a waterphone FX. Q: How much input did the game developers have on the score? What kind of working relationship did you have with the game developers in formulating the score, its tone, and its placement? Olivier Deriviere: One of my main goals when I’m composing for games is to add an overall feeling of immersion. So, I try to participate in as much gameplay as possible. To achieve this quality, you have to know the game perfectly. I interacted a lot with the developer during the whole production process. For Alone in The Dark I was also the Music Supervisor, meaning I had to make sure the audio engine was well designed to turn our ideas into a reality. I was meeting with the team sometimes daily to make sure the music would fit perfectly with the game. Q: How would you describe the thematic unity of the score and how this was intended to progress during gameplay? Olivier Deriviere: I think what makes this score interesting is the use of themes and the way instrumentation is established for gameplay. For instance, the game starts with violins, then the orchestra gets bigger. As more enemies come after you, the percussions enter and once you see Central Park the choir appears. Each cue has a meaning to be played and if sometimes you don’t have music it’s because sometimes silence is the best music! Considering I’m trying to make a connection between the music and the experience there are several themes to support the narration. But I think what is the most important is to get the music implemented perfectly so you have to think both artistic and technical. To me nothing counts more than the player’s immersion. Q: This score, as that of your earlier gamescores for Obscure and Obscure II, are noted for a unique musical texture, especially your use of choir and voices as unique elements of your musical pallet. How was this concept conceived and integrated into the gamescore? Olivier Deriviere: What is very good with choir recording is the flexibility of its use. I’d say it’s one of the best materials to make variations with only one take and this is very useful for video game music. The more you can adapt and change your material, the more you’ll be able to succeed in your connection with the game. I think also voice is one the most interesting instruments and I usually want to use lyrics. This adds a direct meaning to the music. I’ve been working each time with different kinds of voices, and I have so many to try that I’m already very excited! Q: What is your technique in grafting appropriate music onto specific sequences in the game? How do you approach and/or integrate the cinematics versus user-controlled gameplay? Olivier Deriviere: The first key is to talk a lot with the director to make sure we understand each other. My involvement is the other key. Being a big gamer I’m very connected to the game production and I play the early versions to make sure I get the right feeling for the music. What may sound odd is that I don’t write for cinematics specifically. To me it’s a piece of the overall intention. Today cinematics are mostly in-game so it may be very often that music is being played before and after a cinematic, I then make a straight connection between in-game music and cinematic music. Q: When scoring fight/battle scenes, what’s your approach at keeping the music interesting while at the same time spurring on the action, danger, and urgency of the gameplay? Olivier Deriviere: You want to be very careful with this type of situation. My suggestion is to make intro music with great musical movement and agitation to give the player a feel of battle, but after a while (depending on how long the fight can be) the music should become softer, still agitated but not so strong to leave some space. Now, if you have to push the player to an extreme intense situation you may have very strong music all along but this has to be a rare situation. Q: Do you find a difference when scoring a first-person shooter, a third-person stealth, or a multi-player action game? Or an action game versus a strategy game? Are there different musical needs for each type of game? Olivier Deriviere: I think what makes music different is not the genre of game but the artistic direction. It also depends on the purpose for music. If music has to tell a story (Shenmue), support the action (Call of Duty 4), give a background feeling (Oblivion) you have to take a different approach. I think each game should have its own way for music and this is why it’s so great to write for video games: there are no rules! Q: What were the challenges of scoring Obscure, and how was its score conceived and developed? Olivier Deriviere: Obscure was my very first worldwide commercial game. It was very scary and challenging! When Pierre Leroux, the executive producer, showed me the game I was just blown away. The ideas were very fresh and I liked how he allowed me to come up with ideas. It started to be very demanding for the in-game music player and thanks to the engineers’ open minds I got everything I needed to score the game. The only detail was I had to come with the best music I could compose… My great luck was that the Children’s Choir of the National Opera of Paris agreed on performing my music. In the end, the music received great reviews but also for how it was implemented. Everyone was happy and I was very relieved! Q: When you got to score the second Obscure game, how were you able to expand and enlarge the score from the first game? What new opportunities did the second game offer you? Olivier Deriviere: The sequel was a very different game to me. Pierre Leroux asked me to write music that matches the theme of “corruption with rage and melancholy.” I understood I had to get away from orchestra samples to get a live performance in order to get the emotion that this theme deserved. I kept the Children’s Choir but on this occasion I asked only to have the young girls perform. Thanks to my previous stays in Boston I asked Tamara Smirnova (Boston Symphony Associate Concertmaster) if she and 3 others members would agree on playing my music. This Boston Quartet was now founded! And to capture the ‘corruption,’ I used very industrial electronic sounds. The way I worked with the development team was the same as with the first game. Q: How did you find your scoring assignments for the more child-oriented games, Destination Treasure Island, My Little Flufties, and Rally Championship, and what was unique about these scores? Olivier Deriviere: While I was doing Obscure 2 and Alone in the Dark I’d been approached to write scores for other games. They were not survival or action games but adventure, kids, and crazy racing games. It was a great and delightful opportunity for me to compose in other genres, and the teams behind these games are just incredible! I don’t know if the scores are unique but I think they add exactly what these games needed. To make music with smaller productions is also a very good chance to approach different styles and try different music. Q: To what extent do you feel game scoring is (or should) mirror film scoring? What approaches are shared, and which are different? Q: What is coming up next for you? Where do you hope to be in another five years? Olivier Deriviere: I’m finishing the composition of a mass for a sacred music festival in France which is very interesting. Then I will try to improve upon my composition skills. You always have to learn. Of course I’ll be playing video games a lot! Hopefully in five years I’ll be still composing! Q: You’re now scoring the new Alain Resnais film. What’s this new movie about? Q: So how was it like working for Mr. Resnais the second time around? Mark Snow: It was just amazing. We had such a fantastic time in Paris. He doesn’t like to work before 3 o’clock in the afternoon. He is 86 years old now, but he’s just as sharp as always. Hanging out with him and the editor and the other people associated with the film was wonderful. His instincts are still incredible. This film is a quiet movie, but every gesture, every frame of this picture is really exquisite. There’s not a bad moment. It might be too weird or odd for a lot of people, but he’s still got it. Q: Was the working relationship the same as with Coeurs – you had a meeting in Paris to go over initial ideas, and then you came back home to write and produce the score? Mark Snow: Yes. I sent music over there and I would hear back from him. He’d say, “this is great, this is great, oh, this piece I’m not sure of, it needs more something or other.” All of his comments were pretty sharp. He had taken a lot of my music and temped it into the movie, and it was really dark. He chose some very dark pieces, and he played it back for some other producers and everyone agreed, “Gee, we’ve got to lighten this thing up.” So I came up with something with harpsichord and solo cello and a bunch of string pads and piano that I thought it was interesting. I sent off about half the score with this harpsichord sound, and man, he just hated it! He wanted real sturm and drang; he wanted slow and big and chordal and simple. So I hope I found a middle ground between happy, Burt Bacharach harpsichord and Toru Takemitsu! Q: What element of the film would you say was central to the score? Mark Snow: There was an almost Bernard Herrmann Cape Fear instrumentation, with the heavy French horns and real brassy accents, coupled with that simplicity of a John Barry score. You remember when John Barry would write for a 120-piece orchestra but it would be just a three-part thing: the violins = the melody, the horns = the counterpoint, and celli doing arpeggios underneath with harp? Mark Snow: That’s right! And he sure got a sound, there’s no question about it. I always marveled at that, because you can hear the music without the picture and you’d say, “okay, let’s get it moving a little bit!” Like the theme from Out Of Africa – that was a pretty slow tempo – but it worked great. It was that sense of the bigness and the simplicity, and I think that’s a lot of what this is. There’s also a couple of really good percussion-oriented traveling pieces. The main female character, she’s a dentist, and when she first makes an appearance I wrote this slower, darker thing, I though that’s what he wanted. But he said, “no no, it has to be lighter!” I said, “well, I did the harpsichord thing…” “No no, not that harpsichord!” So I came up with this waltz and he said “Oh, that’s perfect. Let’s call it ‘The Dentist’s Waltz!’” Half way through the movie this character gets a little more serious and the waltz turns from 3/4 into 4/4 and then a little 5/4. So it transmogrifies and develops. Q: To what extent is the score thematic development and to what extent is in atmospheric? Mark Snow: At the very end of the movie there is an amazing visual moment that is very atmospheric. He found some amazing exterior physical locations, mountains and graveyards and just incredible stuff. There are themes, but it’s not like the traditional theme and variation type score. Q: His style of filmmaking doesn’t seem to call for that anyway. His films have such a sublime visual atmosphere, obvious themes would almost tromp on that. They need something gentler, or a little more persuasive, maybe. Mark Snow: Yeah. I think sometimes there is the beginning of a melodic theme that turns a corner and doesn’t go where you would expect it to. I’m looking forward to when they mix it. With a lot of French movies, you give them the music and then they just cut it and move it. It’s not like you write it and that’s where it stays. I think it will be around 75% where it was intended. I’d written a couple of pieces and Alain Resnais said “oh, that’s great, and that will work for here so don’t worry about this cue, we’ll take it from the first one!” or “we’ll cut this one in half, the first half of it works great here, and that’ll be fine.” So, if you’re a control freak composer, you’re dead! B-movie music maverick Terry Michael Huud is keeping busy with Sci-Fi Channel movies and other low budget fantasy fictions. A horror picture he scored a few months ago is just now hitting the film festivals and doing well. The movie, called Plaguers, was awarded the Silver Unicorn (“Unicornio de Plata”) for Best Screenplay at the Estepona Fantasy and Horror Film festival in Spain, it took the award for Best Sci-Fi/Fantasy Feature at the Mid Ohio Comic-Con Indie Film Festival, and received two awards for Best B-Movie and Best Actor Science Fiction for Steve Railsback at the October 2008 Shockerfest in Riverbank, CA. Soundtrax spoke with Hudd about this new score: “The hardest part was focusing on an overall theme for the picture,” he said. “We could have gone with a theme for the main protagonist of the picture or the principal baddy or an overall theme of just plain horror. And then I thought, wait a minute! There is this feeling that these creatures ("Plaguers" ) are not our usual cut-and-dried Zombie. Aside from being a cross between demons and the undead, these things are almost a collective in a way. So why don't we have an overall theme for this collective horror. It worked quite well. Even during 'still' moments on the space cruiser if we hear this theme, and it’s like the 'collective' presence of the Plaguers is still lurking around somewhere in the dark recesses of the ship. 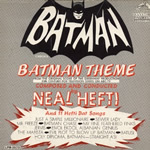 Neal Hefti, a Big Band trumpeter, arranger, and composer of themes for the movie The Odd Couple and the Batman television series, has died in Los Angeles. He was 85. Neal Hefti was born Oct. 29, 1922, in Hastings (NE) and played trumpet with local bands as a teenager to earn money. He began arranging professionally in his teens, when he wrote charts for Nat Towles. He became a prominent composer and arranger while playing trumpet for Woody Herman; while working for Herman he provided new arrangements for "Woodchopper's Ball" and "Blowin' Up a Storm," and composed "The Good Earth" and "Wild Root." After leaving Herman's band in 1946, Hefti concentrated on arranging and composing, although he occasionally led his own bands. He is especially known for his charts for Count Basie such as "Li'l Darlin'" and "Cute". He also worked with and arranged music for other greats of the Big Band era, including Woody Herman, Charlie Spivak, and Harry James. “He was one of the really great arrangers and composers of all time,” radio and television personality Gary Owens, a longtime friend, told the Los Angeles Times. On Sunday, October 19th, the World Soundtrack Academy announced the winners of the World Soundtrack Awards 2008, the closing event of the 35th Ghent International Film Festival. The 8th edition of the World Soundtrack Awards was once again a highlight for film music professionals and fans. James Newton Howard was chosen as Film Composer of the Year 2008, Dario Marianelli took home the award for Best Original Score of the Year (Atonement). 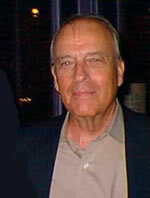 Marc Streitenfeld was the Academy’s new discovery with his score for American Gangster, and Angelo Badalamenti was honored with a Lifetime Achievement Award given by Marianne Faithfull. Both the ceremony and the concert were attended by world-famous composers such as James Newton Howard, Dario Marianelli, Angelo Badalamenti, David Arnold, Clint Mansell, Trevor Jones, and Shigeru Umebayashi. After the World Soundtrack Awards ceremony the Brussels Philharmonic conducted by Dirk Brossé performed film music by Angelo Badalamenti, Dario Marianelli, Andres Goldstein & Daniel Tarrab, and local talent Tuur Florizoone. Special guests of the evening were Siouxsie Sioux and Beth Rowley, both singing music of The Edge of Love. The World Soundtrack Awards are organized in cooperation with Port of Ghent, Sabam, the province East-Flanders, the Ghent City Marketing Fund and Belgacom. 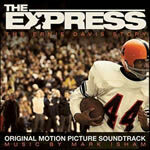 Mark Isham’s score for The Express, a dramatic sports film based on the true story of Ernie Davis, the first African-American to win the Heisman Trophy, college football's highest individual honor, has been released by Lakeshore. The film is a formulaic but affecting-despite-that accounting of Davis’ struggles against racism as he gained fame and success in football in late 1950s America. The music emphasizes the nobility of the young man and bolsters the film’s resonant theme of courage and hope in the midst of the era’s racial inequality. Isham lends his characteristic sensitivity to the story, laying out a gently persuasive and affecting composition based on provocative, slow melodies and layered tonality, driven by a percussive persuasion that elevates the melodic rhythms to powerful statements of personal motivation and determination. The track “A Good Man” embodies much of the score’s spirit in this regard, growing from quiet sentimentality into a hard-driven self-assurance. The score takes us through the various significant or pivotal moments in Davis’ short-lived career, and while much of it is the kind of music you would expect from a film like this, it doesn’t fail to generate an appropriate emotive eloquence. What is a feel-good movie if it does not, in fact, make you feel good, and Isham’s score is very much of a winner in this regard. Tracks like “Lacrosse,” “Training,” “Cotton Bowl” and “Heisman” exemplify Davis’ commitment to football and his remarkable athletic accomplishments, ringing with a poignant sense of triumph and exuberance, while “Prologue” and “Rain” suggest less rewarding times with their doleful rhythmic melancholy, and the expressive simplicity of “Ernie Davis” captures the essence of the story and its affecting articulation. “The Express” concludes it all with a respectful and expressive musical tribute to the man who was the Elmira Express. 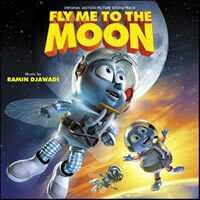 Ramin Djawadi’s music to the animated sci-fi feature, Fly Me To The Moon, released on CD by Varese Sarabande, is perhaps a little overly predictable in its sentimentality and progression, but it’s a likeable score all the same. The story tells of a trio of young houseflies who stow away on Apollo 11’s historic flight to the moon and have adventures there. It’s a fluff feature and the score is pleasant and serviceable, appropriately effervescent and heroic; tracks like “Lift Off” generate a good deal of symphonic energy (not simply a sampled effort; the score is vigorously performed by the Flemish Radio Philharmonic). While embodying a few satirical references, such as the Blue Danube homage to 2001: A Space Odyssey, the score progresses through the fly’s warm family sentimentality “Cape Canaveral,” “Junkyard Dreams,” “Nat Convinces Friends”), the excitement of the rocket launch (“Phase I” through “Phase III,” “Lift Off”), the intrigue over a cold-war threat (“From Russia with Love,” “Nadia,” and “Russian Operatives” with plenty of accordion and mandolin), jagged and driving orchestral suspense motives (“Saving the Mission,” “Contaminants on Board,” “Cold War”), and cute heroics (the fife and drums of “Grandpa To The Rescue”) and the inevitable warm and celebratory ending (“Back to Earth,” “Homecoming”), Fly Me To The Moon is a nicely flavored work from a capable composer. The country of Vietnam enters the historic action movie epic genre with The Rebel, the first such film from that country’s film industry. Learning well from Hollywood and Hong Kong, director Charlie Nguyen’s lavishly mounted production takes place in 1920 as rebel Vietnamese forces are fighting against the colonial French rulers. The film depicts a far different Vietnam from what we’re used to seeing in movies set in the Vietnam war period and told from a mostly American perspective, and the new angle is very refreshing. The film competes well in the midst of such epic actioners as Red Cliff and the like. 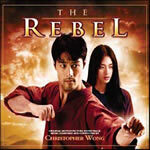 It’s very capably filmed, exudes a compelling historical sensibility, and contains some dynamite martial arts and gunplay sequences – but at its heart, The Rebel is a love story and main stars Johnny Tri Nguyen (who also produced and co-wrote the script; it’s very much his film) as Cuong and the lovely Than Van Ngo as Thuy are not only both convincing and realistic in their fighting (Nguyen is a trained martial artist; Ngo is an athletic model/actress who quickly learned the actions needed for her fighting scenes) but provide a persuasive center to the film. Chinese composer Christopher Wong, a former student of Goldsmith who dedicated his 2006 score, Journey from the Fall, to the late filmmusic master, provides a compelling score for the film, embracing the action scenes but centering his approach on the predominant romance of the story. Released by MovieScore Media, the orchestral score is balances its romantic music with energetic and percussive action cues that robustly support the fight scenes. “The Assassination” is a great example of an action cue that starts out subtly, with pensive tonalities and percussion pulse, growing more forceful as what seems to be an innocuous sequence suddenly reveals itself to be ripe with danger… the music halts and allows a moment of silence to shout in revelation, and then the score crashes in with a rhythmic beat of propulsive brasses over fastly-rhythmic piano and strings and percussion as the fight is on. “Prison Break” accompanies Thuy’s beautifully rendered escape from the colonial prison, aided by the infatuated and idealistic Cuong; a driving pulse of keyboards and raging cries of brass over rolling hand drums propels the action very nicely. “Shower and Wine” displays the love theme very intimately for acoustic guitar and piano over strings as our main couple takes a break after the prison escape and begin to recognize interest in each other. “Execution Line” is a tepid suspenser for snare drum and sustained high strings as the militant terrorists line up the villagers to be shot as Cuong hastens to free himself and the others; the cue is about waiting, a tangible tension taut like the cord that binds the prisoners, as the rifles are drawn and aimed. A brooding theme for the “Opium House,” where Cuong’s father spends most of his wasted life, wafts like scented mist of sense-dulled fragrance from sustained strings and pianistic figures over a consistent ringing percussive pulse; as a fight breaks out between Cuong, Thuy, and some French officers, rolling percussion propels their activity. The mix of action music and the omnipresent romantic measured for our main couple contrast nicely as the score continues to develop, the 8:30-minute “Village Gunbattle/Attacking the Train” reaching its apotheosis of energetic action accompaniment, and the concluding resolution of the love theme in the end title’s “The Rebel” brings the score full circle and gives it a very pleasing of closure and serenity. 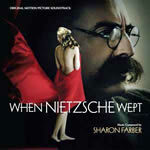 MovieScore Media has also released Israeli composer Sharon (pronounced Sha-ròn)Farber’s acclaimed score for When Nietzsche Wept, director Pinchas Perry’s eloquent adaptation of Irvin Yalom’s celebrated novel. I heard this score a year ago when I had the opportunity to visit and interview Ms. Farber and I was extremely impressed with it, so I’m very pleased to see it finally come to release. MSM has done a fine job on both the CD packaging (limited to only 500 copies; it’s also available on iTunes and from filmmusicdownloads.com) and the album edits, sequencing, and arrangements. An intricately sensitive composition, When Nietzsche Wept, is an elegantly classical score, rich in dramatic texture and musical sensitivity. Farber’s musical portrait of Nietzsche expresses the tortured soul of the famous philosopher via an eloquently unfolding psychological tone poem, and she also paints the environment of 1882 Vienna in heartfelt, broad strokes. The film is a story of obsession, love, and fate, and these elements form the basis of Farber’s approach. She invested her familiarity with the book’s nuances and sensibilities into a well grafted musical accompaniment that supports the film’s subtexts as much as the progression of its story and character development. By understanding the story so well, Farber’s score is more than just emotional support to the story as it plays out, but is grafted to the film’s psychological portrait of Nietzsche and brings the enigmatic philosopher much closer to life, enhancing even the brilliance of Armand Assante’s performance in the role. “I wanted to have a theme that would encompass his sorrow, his passion, his love, his obsession,” Farber told me. This is exactly what we have here. Farber understands and delineates through intricate musical strokes and rich washes of warm coloration the intersection of Neitszche, Freud, and Breuer – the meeting of philosophy and psychoanalysis. The score, therefore, is both intense and extremely psychological, but never too musically complicated so as to become inaccessible. Farber embraces a 19th Century musical idiom appropriate to the era, with an occasional reference to Hebraic music, as in the inclusion of the traditional “Shabbath Dinner” as a set piece. Performed by the Bulgarian Symphony Orchestra enhanced with choir, Farber’s passionate themes resonate with clarity and humility. “Breuer's Second Dream/Sad Madness” is an especially affecting cue build around strings and piano played in a very Rachmaninov style, embellished with a haunting solo voice, emphasizing Nietzsche’s growing isolation and tying in the personalities of Nietzsche and his psychologist, Breuer. “Fire” is a splendidly dramatic action cue for urgent brasses and chanting choir; “When I’m With Her” is a remarkable interpretation of unfulfilled and unattainable love, the main theme evoked in a powerful and resolute statement for strings echoed by hushed and haunting chorale; despite its pervasive melancholy, the cue ends with a sublime statement of acceptance and resolve. “Freedom/Goodbye/Leaving” is an especially powerful mélange of motifs, from the powerful crescendo of “Freedom” that wafts into the poignant, wistful piano and winds of “Goodbye,” culminating in “Leaving’s” reprise of the main theme, drawn out into measures of painful regret and melancholy. “Friends” proffers a beautiful resolution to the score proper, while the album concludes with a unique arrangement of Nietzsche’s poem, Hymnus an das leben, set to music by Farber and vocalized by soprano Ayana Haviv. Paul Cantelon’s sublime piano-based score for Oliver Stone’s W, a film about George W. Bush, has been issued by Lionsgate as a download on iTunes. Aside from a large quantity of period songs, five score cues of about 12 minutes are included on the soundtrack. 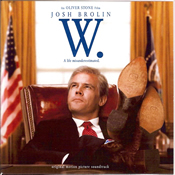 Cantelon’s music is based on a theme for “War,” which seems to be the primary Presidential legacy evaluated by the film in its coverage of Bush’s presidency. “Delta Waltz” is a pretty country waltz melody (derived from “Tennessee Waltz”) performed by solo electric guitar over strings and “The Differencemaker” is a pretty French pop tune for accordion and orchestra, but the primary motif captured on this release is a reflective piano melody that opens into a sumptuous melody for piano and strings reminiscent of Francis Lai at his most passionate and poignant. It’s a very nice score that evokes an intriguing intimacy and personality. The pop and country songs that populate the rest of the album (none of which can be downloaded individually; Cantelon’s five tracks can be, which makes for a fine $5 download of just the score cues) may speak for Bush’s swagger and self-assurance, but the score evokes more thoughtful moments. Marc Streitenfeld reunites with Ridley Scott for Body of Lies, released by Varese Sarabande. The score, almost thoroughly orchestral, evokes the film’s middle eastern environment through the use of oud, santur, tambur, ethnic winds and middle eastern percussion, although these elements are effectively integrated into the composer’s overall symphonic orchestration and don’t necessarily standout. But they lend an appropriate timbre to the music, such as the dominating middle eastern feel of the strident action cue, “Chased” and the percussive, gamelan vibe of “No Touch.” Streitenfeld’s use of rhythm and texture, as it was in his score for Scott’s last film, American Gangster (reviewed in my May 6, 2008 column), dominates; there are a few recurring motifs (as in the strident, reflective violin figure introduced in “White Whale” and carried through a number of permutations, resolved in the climactic final track, “Betrayed”) but this is not a thematic score. Streitenfeld develops a series of intriguing action riffs, often giving it a compelling pulse (as in the cool minimalistic atmosphere of “Rabid Dogs,” where he also lays a sustained choir intonation over the percussive and string rhythmatics), and develops it in patterns and layers, adding textures and tonalities and velocities as the need dictates. It makes for a very interesting design and a compelling sonority on CD. It’s only been thirty four years, but John Morris’ score for Mel Brook’s classic Western satire, Blazing Saddles, has been issued in a proper soundtrack album, by La-La Land Records. Morris, Brook’s main and very capable composer, is underrepresented in the soundtrack department, partly because most of his musical efforts have been for Brooks, whose movies required little underscore and emphasized song (and, often, dance). Thus the amount of music extent from films like High Anxiety, History of the World, Part 1, and Silent Movie, usually fared better on compilations (such as Asylum’s High Anxiety collection) or musical and/or dialog-extract-heavy albums (such as The Producers and Young Frankenstein). Morris’ musical brevity for Brooks is unfortunate as there is some wonderful music here, often as inspired a satire, musically, as were the films they came from. In the case of Blazing Saddles, apart from the necessary prevalence of a variety of cabaret songs included on the soundtrack, there’s a goodly amount of music to be appreciated on this release, most of it splendidly poking fun at the Western scores of the 1950’s. Morris’ main theme is an inspired tune, and is given a number of likable permutations in the score; as usual he’s playing it straight, which allows Brooks’ manic humor to work so much better in juxtaposition; the closest Morris comes to cartoon music is in “Ballad of Rock Ridge,” a fun-filled romp that provides a cool chase scene with honky-tonk piano and full-on cliff-hanger-ending orchestration. The main theme song is sung by Frankie (OK Corral, Rawhide) Laine; it’s also presented via bonus track in an instrumental rendition sans the vocal, and again as a solo vocal without the chorus. A Western of another color, Appaloosa, has been issue on CD by Lakeshore. Based on the Robert Parker novel, the film is actor Ed Harris’ second turn as director. Composer Jeff Beal (collaborating with Harris again after having scored his directorial debut, Pollock, back in 2000) provides an unpretentious score that is modernistic and fairly dark in tone, which fits the story’s contemporary relevance as more of a crime story set in the Old West than a traditional Western. It is for the most part not an action or even a heroic score (until the end), but one that hangs back and maintains a jaded perspective as it comments cynically on what it sees. The main title theme captures a nice rhythm and melody; Beal gives it a cool quirky turn for harmonica, piano, and trumpet in “New City Marshal.” In “Hitch Rides” the main theme provokes a cool rhythm and drive in a pleasing arrangement. The Baddie is named Bragg, and his theme is not so much a melody as a progressive chordal motif, introduced in the gradually advancing string sustain, “Bragg’s Theme;” it exudes an unremitting favor of criminal menace and arrogance. Allie French, the woman who comes to town and tests the protagonists’ friendship, is given a plaintive fiddle motif. Even with these main themes, the score remains fairly low-key and unobtrusive, which seem to fit Harris’ low key and dialog-heavy filmic approach. “Dawn in Appaloosa” is a pleasant variation with Allie’s theme slowly waking to the day, banjo and hoofbeaten rhythms finally coming to life and moving along. In “Bragg is Captured,” his monosyllabic theme is set against a bed of bongos and sharp violin threads. “Apology Accepted” is a nicely flavored motif opening with banjo and moving into a very slow rendition of the main theme for strings. The music for the activities in the town of Rio Seco, which spans three adjacent cues, takes the main theme and reprises it for Spanish guitar. “Hitch Settles a Score” resolves the characters’ despite with a modern tonality and a gruff finality, as a sinewy fiddle plays amongst Bragg’s wicked motif (suggesting Allie’s influence on Bragg’s comeuppance? ), which allows the muted relief of “Riding Off/End Credits” to resonate with a pleasing folksy satisfaction, trumpet and harmonica over violins and banjo, a very nicely textured arrangement, with the main theme set into a nearly exuberant songlike arrangement for a mélange of modern textures and jazz-like interpretations; this last track generates a great texture and rhythm and is worth the price of the album alone. A pair of songs then conclude the album; Ed Harris taking a turn at a Johnny Cash styled vocal with “You’ll Never Leave My Heart,” and a Dylanesque ballad, “Ain’t Nothin Like a Friend” (which does not appear in the film but was co-written by Donald Rubinstein [who we haven’t heard from since he scored Romero’s Martin and Knightriders] and Harris, who found a place for it at the end of the CD). 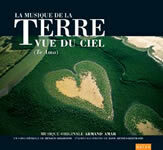 Naïve Records of France offers Armand Amar’s exquisite score to Terre Vue Du Ciel (Earth From Above), a profound 2004 documentary inspired by an exhibition of superb aerial photos of the earth and its peoples taken by Yann Arthus-Bertrand, accompanied by touching music and poetic text, showing our beautiful but fragile planet through an eagle's eye, with a provocative environmental message. Like Bruno Coulais’ scores for Microcosmos and Winged Migration or Alex Wurman’s for March of the Penguins (Emilie Simon on the original French version), Amar has crafted a transcendent composition that resonated far above the mostly wordless documentary with music that is reflective, thoughtful, soothing, even abstract; it’s mostly conveyed in slow measured cadences, lots of sustained passages for winds and strings. “Te amo” proffers a slightly faster pace with an intriguing choral element punctuating its sumptuous orchestration; “Les Sens” provides an interesting fluttering percussion effects (like massive feathers) amidst free-form fluting; “Babel” progresses harmonically over a rumbling bed of very organic drumming into a powerfully exuded crescendo. Appropriately, “Civilisation” contains a prominent amount of vocalizations, mostly middle-eastern or aboriginal in nature. “Save us” and “Images” contain sparse voice-overs spoken in English. “L'orage Et La Baleine” contains some intriguing violin strokes that propel its measured rhythms into something akin to Philip Glass minimalism, as does “Terra incognita,” which incorporates an interesting female voice near its end. Tracks range from just over a minute to more than 12 minutes in length, allowing for plenty of atmospheric development and motivic progression. The soundtrack package comes in a hardback bound booklet, which includes a lavish 100-page book containing some of the amazing aerial photographs seen in the film along with some text as heard in the film; even at the small CD-package size the images look stunning. Chris’ Soundtrack Corner of Germany have issued their second archival release of Italian film music, this time (after their splendid release of de Masi’s The Big Game last year) compiling three Italian police thrillers scored by Stelvio Cipriani in 1973-75, who set much of the musical template for the “poliziotteschi,” or “vengeful cop” subgenre of Italian films. La Polizia Sta A Guardare (The Great Kidnapping) defined the musical approach to the genre with a hard-hitting and fast-paced keyboard undercurrent over which a provocative rhythmic horn figures intones. It bespoke action and yet remained fairly grim in its tonality; track 3 reprises this motif in the style of a bold and determined anthem; three more variations are included among the album’s bonus tracks; all are excellent renditions of a compelling and assertive motif. La Polizia Chiede Aiuto (aka What Have They Done To Your Daughters, aka The Coed Murders) was a mixture of giallo horror and vengeful cop thriller, and merges the traditional giallo lullaby melody with the more frantic urban sound characteristic of poliziotteschi. This contrapuntal fusing of genre staples is contrasted with a pretty romantic interlude, and a rather standard jazz/rock chase theme for keyboards and flutes. 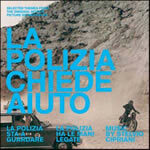 La Polizia ha la Mani Legate (Killer Cop) is, like A Guadare, a bold, anthemic statement set in a modern rock/pop idiom, built of staccato rhythms and driving energy, with a slower string melody arcing through the frantic action material that really gives it an emotive strength on top of its more overt energies. A pretty ballad arrangement for keyboard over strummed electric guitar, a threatening suspense cue for electric guitars, a reflective variant of the main theme for organ and brass, a harsh and vigorously aggressive variation, and a climactic reprise for the final urban de guello-like confrontation. A bonus track proffers a harsh electric rock variant, much in the style of Morricone’s Citta Violanta. There are also three lounge-like pop tunes that Cipriani composed “wild” and which have appeared in numerous films as set or source pieces. The album is pleasingly sequenced, and these three compatible but distinct scores make a very fine collection. John Bender provides excellent liner notes which are a big help in sorting out what’s what and where these scores fit into the history of Italian film music. 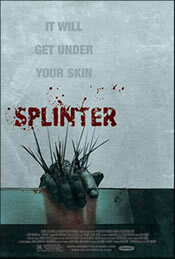 Elia Cmiral's score for Splinter has been awarded "Best Musical Score" at the Screamfest 2008 Horror Film Festival. The film also won for "Best Directing" (Toby Wilkins) and "Best Picture." Cmiral’s haunting score for Splinter is the first full-length film by award-winning director Toby Wilkins. In the film, a convict and his girlfriend carjack a couple on a weekend retreat in the woods. The couples soon find themselves trapped together in an isolated gas station, on the run from a deadly parasite that occupies the woods outside. The film premiered as the centerpiece of ScreamFest. A soundtrack release is forthcoming. Cmiral recently finished scoring Pulse 2: Afterlife, the sequel to last year’s Wes Craven film, Pulse, based on the j-horror film of the same name, which he scored. Composer John Ottman has reteamed with director Bryan Singer for the World War II film Valkyrie. Ottman again does double duty as both film editor and composer for the MGM film, after which he will once more join forces with Singer to score Superman: Man of Steel. The score to Valkyrie marks a high point in Ottman's unique career, and is said to avoid the clichés associated with a WWII story. This was done by blending carefully designed electronic sounds with the orchestra. When he couldn't find the right textures, Ottman manipulated his own voice to create them. The score is said to subliminally lead to a highly emotional ending, culminating in an incredibly moving climax, leaving test audiences in tears. Valkyrie is a true story that takes place during the height of WWII when a group of high-ranking German officers hatch a plot to assassinate Adolf Hitler and seize power of the military command in order to end the war. The operation was code named "Valkyrie," for the emergency plan that was meant to be used in case of a revolt against the Nazi government. Composer Andrew Lockington’s recent score to Walden Media’s Journey to the Center of the Earth solidified him scoring their next film City of Ember, starring Bill Murray and Tim Robbins. Lockington created an original epic score by incorporating a 90-piece orchestra along with an 85-member choir. City of Ember opened October 10th; score album will be released by Bulletproof (through Universal) available early November. 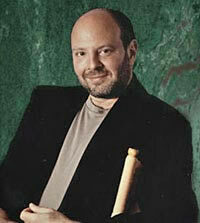 The composer wanted his score to emulate the magnitude of the film. ‘“Moments of incredible beauty and emotion peek through in contrast to the dark landscape that is City of Ember,” Lockington said about the film’s score. 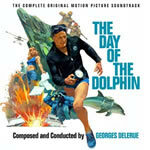 The score features unique percussion elements accented by mystical wind instruments that could only be compared to “whale music.” Special features to the brass section include four Wagner Horns that lend their bold signature to the score's main theme. City of Ember tells the story of an ancient city whose existence becomes threatened when a generator keeping the city alive begins to fail. The lamps that light the city start to flicker and the food supplies begin to run out. Two teenagers race against time, to unlock the mystery of the city's existence in attempt to save the city and its people. Presented in a superb embossed leatherette slip case with a full-color 25-page booklet, Decca’s forthcoming limited edition 5-CD box set, Indiana Jones: The Soundtracks Collection includes all four soundtracks from the Indiana Jones films (the first three have been remastered and extended) plus a bonus CD featuring additional previously unreleased music and excerpts from interviews with John Williams, Steven Spielberg, and George Lucas. The set will be available in mid-November. A new UK-based label called Virtuosa Records has been launched and will issue on November 3rd Laura Rossi’s new score for the 1916 epic war film, The Battle of the Somme. The first full-length war documentary, the film, which detailed the First World War from a contemporary perspective, was reportedly viewed by over 20 million people during its initial British release. For its recent DVD release, Rossi composed a new score for the silent epic that was recorded in London by the Philharmonia Orchestra and mixed at Abbey Road Studios. The film was recently inscribed into UNESCO's Memory of the World register in recognition of its importance – the first British document of any kind to be included. Film Score Monthly’s releases for October are Grand Prix, featuring Maurice Jarre's score for John Frankenheimer's 1966 epic look at auto racing. The disc features the complete original 48-minute score, plus alternate cues and tracks specifically recorded for the original soundtrack LP release. The second release is Chips Vol. 2: Season Three, 1979-80, featuring more of Alan Silvestri's music for the popular TV series. Also released is a reissue of FSM’s sold out edition of Ron Grainer’s 1971 score for The Omega Man, remastered and reconstructed from their initial 2000 release. Marco Beltrami’s score for Mesrine: L'Instinct De Mort (Public Enemy Number One) has been released on Hostile Records in France. Intrada offers the world premiere CD release for Elmer Bernstein’s classic score for the 1958 film, Desire Under the Elms, Delbert Mann’s filming of the Eugene O'Neill tale of family rivalry, starring Anthony Perkins, Sophia Loren, and Burl Ives. Bernstein avoids the standard soap-opera starch and instead fashions an unusually dramatic, often violent score with considerable power. Intrada’s CD reprises the content of the original 1958 Dot LP as originally presented in mono, courtesy excellent condition masters from UMG vaults. Though it runs just half an hour, Bernstein assembled virtually all of the major highlights into one of his finest early albums. An Intrada Special Collection release limited to 3000 copies! La-La Land Records presents the complete score to the 1991 MGM motion picture Not Without My Daughter, starring Sally Field and Alfred Molina and directed by Brian Gilbert. For this drama, based on the best-selling book about an American wife and mother’s escape from Iraq with her daughter, crafts a dynamic orchestral score, performed by the National Philharmonic Orchestra, and laced with strategic nuances of synth, which propels all the emotion and suspense of this big screen drama. The limited edition of 3,000 units is digitally remastered, and features bonus tracks that include source cues and an “orchestra only” suite (and liner notes by yours truly). The label will release Bear McCreary’s score to Rest Stop 2 on October 21st, McCreary’s music from Terminator: The Sarah Connor Chronicles as well as that of Max Payne by Marco Beltrami and Buck Sanders on November 18th. Joel McNeely’s score for Disney’s direct-to-video animated feature, Tinker Bell, is out on Disney Records. Lakeshore’s forthcoming releases include Cold Case (TV score, Michael A. Levine), Appaloosa (Jeff Beal), Noble Son (Paul Oakenfold + songs), and Synecdoche, New York (Jon Brion) on Oct. 28th, and The Guitar (David Mansfield) on November 11th. Buysoundtrax Records has released Chuck Cirino’s scores for two low-budget horror films directed by Jim Wynorski, Chopping Mall (aka Killbots) and Deathstalker II. BSX Records is also distributing AHI Records’ new Collector’s Edition release of the 1987 horror score for Prince Of Darkness, with music composed & performed by director John Carpenter and Alan. See the home page at www.buysoundtrax.com for details. Decca will release the soundtracks to Milk (Danny Elfman) and The Soloist (Dario Marianelli) on November 18th. 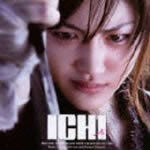 Victor Records of Japan has released the soundtrack to the Samurai Action movie Ichi (a female edition of Zatoichi, The Blind Swordsman) starring Haruka Ayase. Music is by Gladiator/Black Hawk Down co-composer Lisa Gerrard. Also in Japan, Flying Dog has issued the second original soundtrack release from anime series Macross F (Frontier) featuring more new songs and gorgeous orchestral tracks from noted composer Yoko Kanno (Memories, Ghost in the Shell: Stand Alone Complex, Macross Plus). Electronic Arts Inc. has announced the availability of the intensely atmospheric orchestral score for EA’s new sci-fi survival horror game Dead Space™. 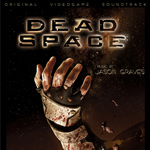 Developed with award-winning composer Jason Graves, in association with Rod Abernethy and under the direction of EA Redwood Shores studio; Jason’s chilling score for Dead Space enhances the horror and tension of the game through extreme aleatoric and extended 20th Century orchestral music techniques. Dead Space is a bold and bloody sci-fi survival horror game that is designed to deliver the ultimate in psychological thrills and gruesome action. In Dead Space, players step into the role of engineer Isaac Clarke, an ordinary man on a seemingly routine mission to fix the communications systems aboard a deep space mining ship called the USG Ishimura. Set approximately 500 years in the future, Isaac discovers that the crew of the mining spaceship is found horribly slaughtered and transformed into terrifying monsters. Now Isaac is cut off, trapped, and engaged in a desperate fight for survival. The official soundtrack for Dead Space, available this week to coincide with the October 14th release of the game, the score features over three hours of music recorded during two different recording sessions. In the first session Graves conducted sixty musicians of the acclaimed Northwest Sinfonia Orchestra at the Bastyr Chapel in Seattle, and a year later Graves conducted sixty players of the Skywalker Symphony Orchestra and twenty voice choir at the world famous Skywalker Sound Scoring Stage. During both sessions, co-produced by Graves and Abernethy, the orchestra was recorded individually by section (woodwinds, brass, percussion and strings) with multiple dynamic levels and variations to be implemented as adaptive layers of music in the game. EA’s audio team designed the music system to be multi-layered so the music could be mixed at run-time based on gameplay and situation. “The unique interactive aspect of the Dead Space music gave me the opportunity to experiment and try things I've never been able to do in a video game score before,” said Jason Graves. “Many thanks to Don Veca and the rest of the team at EA for allowing me such freedom with the score; it was both the most challenging and most rewarding music I've ever composed." For more information on the game, visit the official web site at www.deadspacegame.com. On November 11th, Kino will re-releasing an ultimate 2-disc DVD edition of the classic Buster Keaton silent comedy, The General, newly mastered in HD from a 35mm archive print struck from the original camera negative. Consistently ranked among the greatest films ever made, Buster Keaton's THE GENERAL is so brilliantly conceived and executed that it continues to inspire awe and laughter with every viewing. This Kino Ultimate 2 Disc Edition features a wealth of bonus features and three musical scores to choose from: an original new score composed and conducted by Carl Davis, performed by The Thames Silents Orchestra (in 5.1 Stereo Surround or 2.0 Stereo), an alternate score arranged and directed by Robert Israel, and a theatre organ score by Lee Erwin. The recently released deluxe edition of Sylvester Stallone’s Rambo features an excellent featurette on Brian Tyler’s musical approach to the film and its embodiment of Jerry Goldsmith’s original theme from the first three films.